How beautifully you captured this passage. I was there not long ago and thought how wonderful the contrast was with the light against the crumbling and aged concrete. I didn’t get a photo (and I’m not a photographer anyway) but when I saw this, I sighed. Thank you. You’re welcome…glad you like my composition…I think the aged look makes it more beautiful…if only the walls could talk. 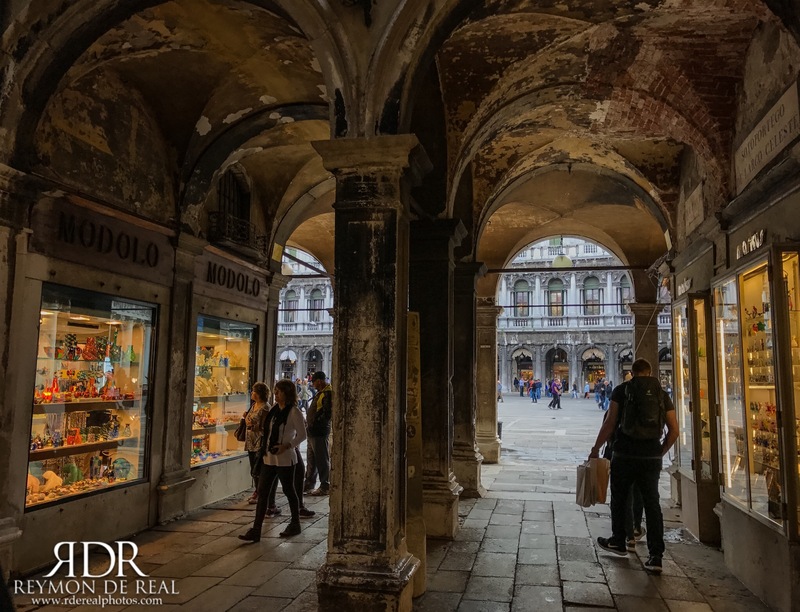 On my only visit to Venice, I took a photo of one of these shop windows underneath this passage of faded beauty. There is history and beauty everywhere, even in the most unlikely of places.